Bake melty, oozy homemade macaroni and cheese in a pumpkin with rosemary, sage, thyme and Italian sausage. See recipe here. Serve this Gruyere, bacon and green onion stuffing in a roasted pumpkin for Thanksgiving to achieve the impossible — impress the mother-in-law. See recipe here. 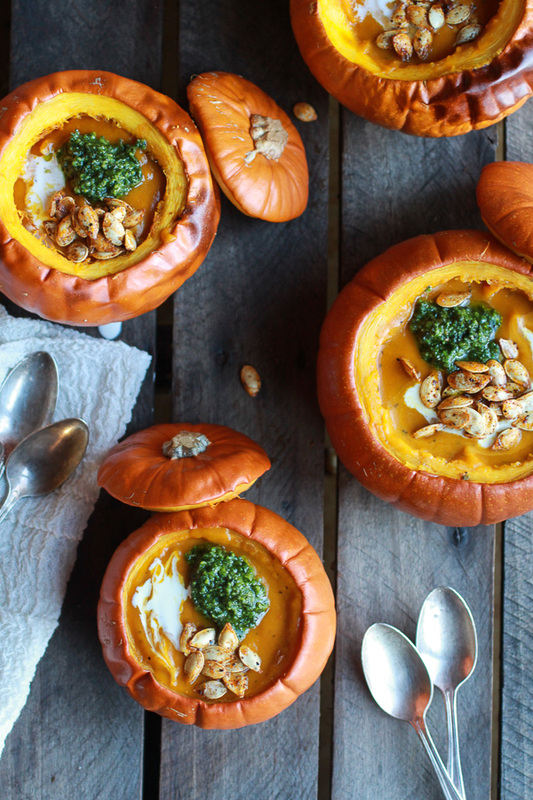 This Roasted Garlic Sage Pesto Pumpkin Soup with Spicy Fried Pumpkin Seeds recipe is way beyond droolworthy, just look at that color. See recipe here. 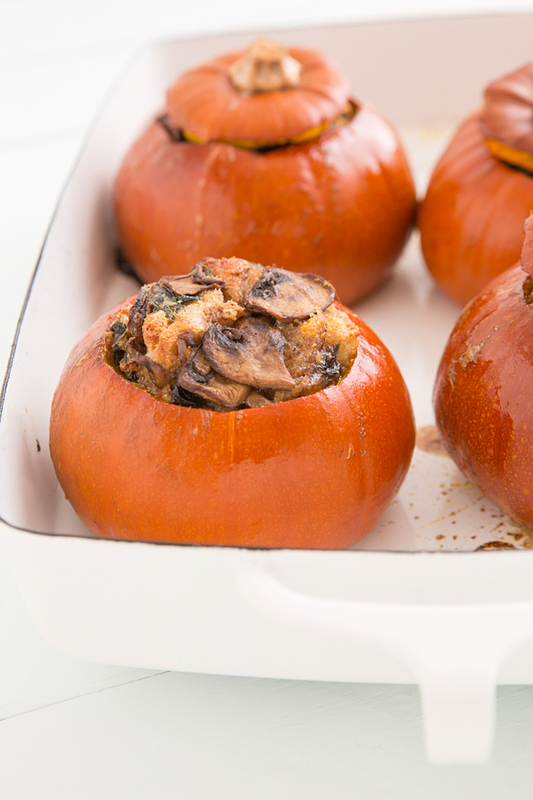 How does a piping hot Autumn Stew with mushrooms, sausage and vegetables in a pumpkin tureen sound? AMAZING. But don’t limit yourself, all kinds of stews taste amazing in a pumpkin tureen—beef stew, chicken stew, pork stew, vegetable stew. Beef and Rice dinner inside a pumpkin cooked over a campfire? Sounds like the perfect Fall meal to us! See recipe here. Let’s not forget about dessert. Who wouldn’t want to eat pumpkin pudding in a mini pumpkin? See recipe here. No need to wash the pie dish, make your pumpkin pie inside a real pumpkin! Apparently this is the original way to make pumpkin pie. See recipe here. To satisfy that sweet tooth, take your favorite Fall cake recipe and bake it inside a pumpkin! Check out this delicious and vegetarian-friendly recipe that is sure to please the entire dinner table.